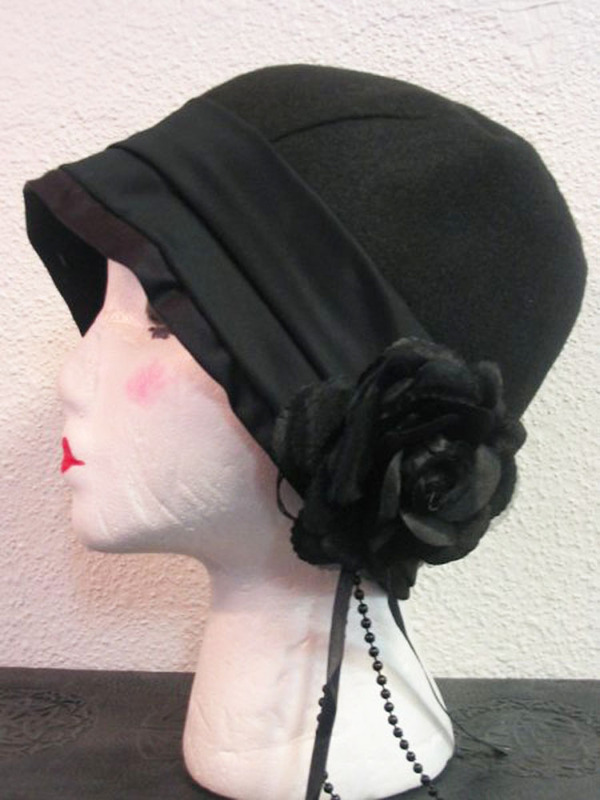 Here is the original pattern image from our website – pattern # E4925. There is a review at the very bottom of the page that the link takes you to. Front view of this blouse. I love the touches of embroidery at the neckline! 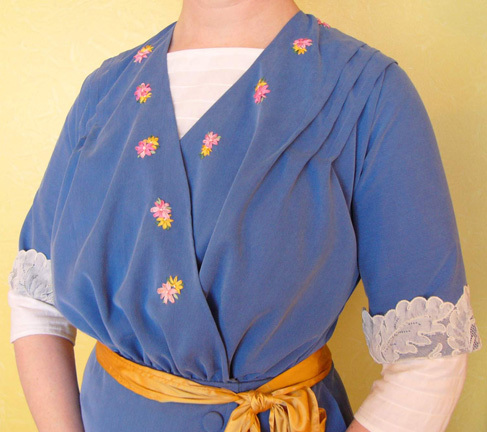 The shoulder tucks are very flattering – and the lace cuffs are a lovely touch. Here is the back view of the blouse. 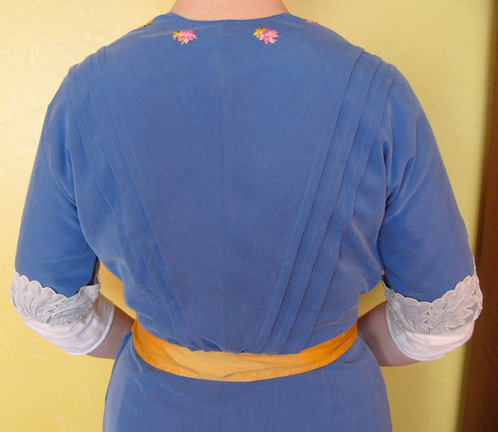 The shoulder tucks continue all the way down the back to the waist. 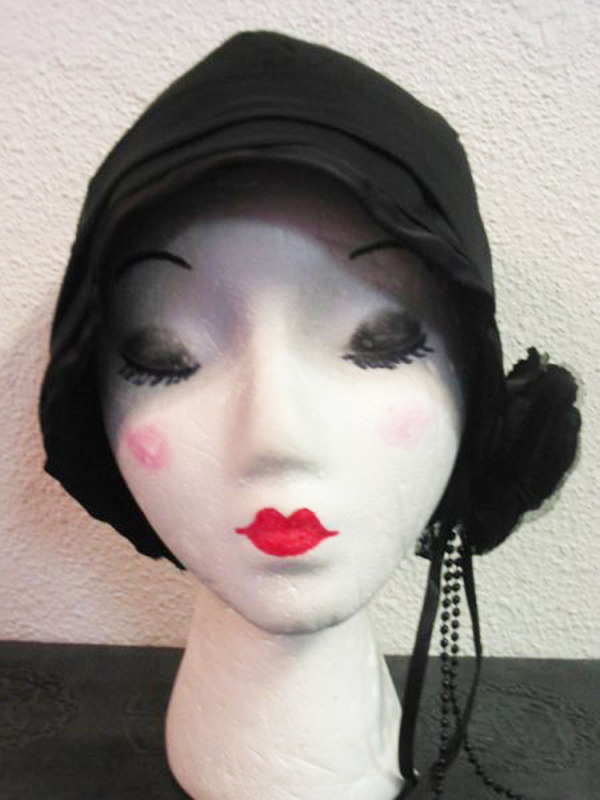 Just received this wonderful photo of the day dress made from # 0677 – the 1930’s Seven-In-One Ensemble. 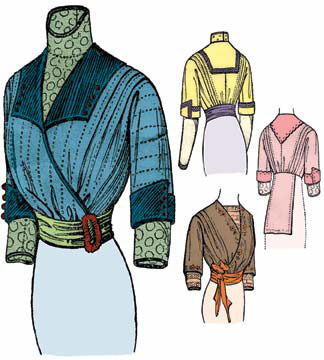 The dress shown in the photo is the one on the far left of the illustration.